M. Angélique Marois was born on 15 September 1724 at Charlesbourg, Québec, QC, Canada. She was baptized on 16 September 1724 at Charlesbourg, Québec, QC, Canada. She married Germain Auclair, son of Charles Auclair and M. Madeleine Déry, on 11 January 1745 at L'Ange Gardien, Montmorency, QC, Canada. M. Angélique Marois died on 30 April 1765 at Charlesbourg, Québec, QC, Canada, at age 40. She was buried on 1 May 1765 at Charlesbourg, Québec, QC, Canada. Alfred Baril was born in 1856. He married Alma Baril. Alfred Baril died. He was buried at Sacred Heart Cemetery, So. Lawrence, Essex, MA. Alma Baril was born in 1863. She married Alfred Baril. Alma Baril died in 1943. She was buried at Sacred Heart Cemetery, So. Lawrence, Essex, MA. J. Charles Théodore Binette was born on 8 May 1879 at St. Elzéar, Beauce, QC, Canada. He married Adélina Paquette, daughter of Pierre Paquet and Delvina Blais, on 6 August 1900 at St. Ferdinand d'Halifax, Mégantic, QC, Canada. J. Charles Théodore Binette died on 30 March 1960 at St. Ferdinand d'Halifax, Mégantic, QC, Canada, at age 80. He was buried at St. Ferdinand d'Halifax, Mégantic, QC, Canada. Adélina Paquette was born in 1883. She married J. Charles Théodore Binette, son of Étienne Honoré Binette and Marie Adèle Perreault, on 6 August 1900 at St. Ferdinand d'Halifax, Mégantic, QC, Canada. Adélina Paquette died on 10 March 1951 at St. Ferdinand d'Halifax, Mégantic, QC, Canada. She was buried at St. Ferdinand d'Halifax, Mégantic, QC, Canada. Scott Callahan was born on 2 July 1960 at Dover, Strafford, NH. He died on 29 April 1990 at Somersworth, Strafford, NH, at age 29. Peter Callahan was born on 31 August 1964 at Dover, Strafford, NH. He died in July 2007 at age 42. He was buried on 27 July 2007 at St. Mary's Cemetery, Dover, Strafford, NH. Louis Mellen was born at Somersworth, Strafford, NH. He married Nellie de Courney. Nellie de Courney was born at England. She married Louis Mellen. Victor Lanouette was born at Canada. He married Alphonsine Berube. Alphonsine Berube was born at Canada. She married Victor Lanouette. Thomas Heneghan was born at Ireland. He married Mary Kerrigan. Mary Kerrigan was born at Ireland. She married Thomas Heneghan. Margaret O'Malley was born in 1843 at Ireland. She married John Berry at Scranton, Lackawanna, PA. Margaret O'Malley died in 1930 at Somersworth, Strafford, NH. She was buried on 11 July 1930 at Holy Trinity Cemetery, Somersworth, Strafford, NH. John Berry died at Scranton, Lackawanna, PA. He married Margaret O'Malley, daughter of Patrick O'Malley and Margaret Frazer, at Scranton, Lackawanna, PA.
Patrick Keating was born on 17 March 1822 at Armagh, N. Ireland. He married Margaret McIntire. Patrick Keating immigrated on 8 March 1850 to Boston, Suffolk, MA. He died circa July 1870. Margaret McIntire was born at Ireland. She married Patrick Keating. Margaret McIntire died before July 1870. Thomas O'Brien was born at Ireland. He married Mary Murphy. Mary Murphy was born at Ireland. She married Thomas O'Brien. Josèph Irene Dubois was born on 31 March 1901 at Newmarket, Rockingham, NH. He died on 24 August 1901 at Newmarket, Rockingham, NH. He was buried on 25 August 1901 at Calvary Cemetery, Newmarket, Rockingham, NH. Wilbur Donat Dubois was born on 8 September 1909 at Newmarket, Rockingham, NH. He died on 14 August 1910 at Newmarket, Rockingham, NH. He was buried on 21 August 1910 at St. Mary's Cemetery, Newmarket, Rockingham, NH. Baby Hartigan died on 9 February 1909 at Rochester, Strafford, NH. He was born on 9 February 1909 at Rochester, Strafford, NH. He was buried on 10 February 1909 at St. Mary's Cemetery, Rochester, Strafford, NH. 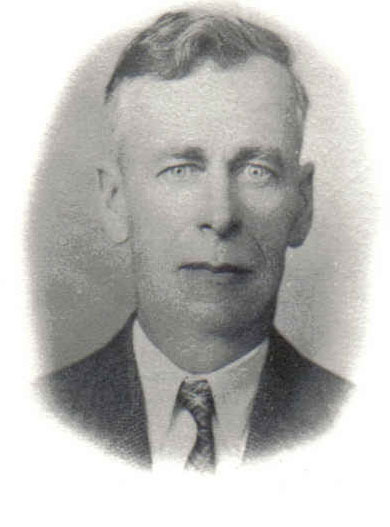 John Joseph Verville was born in 1887. He married Clarina Pepin. John Joseph Verville died in 1960. Clarina Pepin was born in 1887. She married John Joseph Verville. Clarina Pepin died in 1961. Alfred LaBranche was born on 4 November 1886 at Newmarket, Rockingham, NH. He married Anna Duquette, daughter of François Duquette and Oliva Fortier, on 23 April 1906 at Newmarket, Rockingham, NH. Alfred LaBranche died on 29 October 1947 at Newmarket, Rockingham, NH, at age 60. Anna Duquette was born on 27 September 1884. She married Alfred LaBranche, son of Philippe LaBranche and Célina Roy, on 23 April 1906 at Newmarket, Rockingham, NH. Anna Duquette died on 1 November 1983 at Willimantic, Windham, CT, at age 99. Norman Cilley was born on 22 February 1906 at Lee, Strafford, NH. He married Stella Smith on 30 August 1930. Norman Cilley died on 20 September 1982 at age 76. Stella Smith was born on 25 August 1909 at Dixfield, Oxford, ME. She married Norman Cilley on 30 August 1930. Stella Smith died on 24 August 2001 at Freeman, Rockingham, NH, at age 91. William M. Berry was born circa 1874 at Ireland. He married Mary A. Ball on 17 August 1907 at Somersworth, Strafford, NH. Mary A. Ball was born circa 1886 at Berwick, York, ME. She married William M. Berry on 17 August 1907 at Somersworth, Strafford, NH.